The new Stick Horse mount better be the first Mythic mount we get in this game, otherwise im quitting. Lardeson CW not Mage. Where's my fireball and my thunderbolt? What stick horse are you talking about? Next year I expect to be banging two coconuts together. That said, they don't have the time to keep the Foundry operational but they have the time to do this? SMH. Hey, that's hitting below the belt. They are hard at work fixing Artisan portraits so cut them a break..
Have to say. the stick horse is the funniest thing I've seen in Neverwinter in a while. And lardeson is dead on... we needs a mythic mount stick horse, with a squire running behind banging coconuts together.. I would throw money at a stick horse in the zen store. Hopefully by next year Lukan will finally perfect his illusion. He hopes to rotate the stick to full vertical so we can all Merrily Go 'Round … but experimental costs are always rising, so cannot meet his dastardly Winter Foalstival deadline. Summer Foalstival is right out. giddity up giddity up, oh what a fun riding on open horsey stick. o'ver the field, go clapping coconuts all the way. Oh, what fun to clap coconuts on the open field following horsey stick knights. I was about to post a thread about those stick horse. I missed the april 1st on here and Ijust came back after a while. Was wondering if they were actually obtainable and I would so buy one. I would have liked the stick horses more if they had been the heads of whatever mounts we had active. I would have liked the stick horse if it didn't exist and I was still on my actual mount. Next year I expect to be banging two coconuts together. "... and this is my trusty servant Patsy. we have ridden the lengths and breadths of the land in search of knights who will join me in my court in Camelot." "What? Ridden on a horse? You're using coconuts!" The hobby horse will be in the second mod16 lockbox. 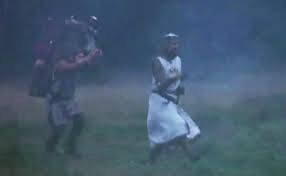 The epic version will be like what we got on April 1, the Legendary version will have a squire following you, banging coconuts together. Many swallows died bringing us this information (European, if you must know).